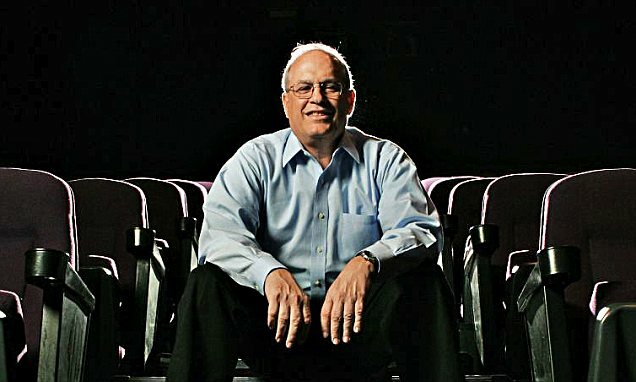 Washington D.C. (March 8, 2019) – Anthony Bloom, Chairman Cineworld Group plc, will receive this year’s “Lifetime Achievement Award.” Mitch Neuhauser, Managing Director of CinemaCon, announced the award today. CinemaCon, the official convention of NATO, will be held April 1-4, 2019 at Caesars Palace in Las Vegas. Bloom will be presented with this honor at CinemaCon’s opening night festivities on Monday, April 1, 2019. Anthony Bloom is an international private equity investor and one of the founding shareholders of Cineworld Group plc, a company of which he has been Chairman since its inception in 1996. Cineworld Group plc is the world’s second largest cinema chain, with 9,538 screens across 793 cinemas in 10 countries including the US and the UK. Prior to his move to London in 1988, Bloom was Chairman and Chief Executive of The Premier Group, one of South Africa’s biggest diversified industrial enterprises. In South Africa, he was a member of the Board of Directors of Barclays Bank, Liberty Life Association and South African Breweries. He was educated at the University of Witwatersrand in Johannesburg, Harvard Law School and the Stanford Graduate School of Business. In 2002, he was awarded the Degree of Doctor of Law honoris causa by the University of Witwatersrand in recognition of his contribution towards the establishment of a non-racial society in South Africa. He is a member of the Dean’s Advisory Board of the Harvard Law School, and is a director on a number of boards including the London Symphony Orchestra, Techoserve Inc. and several other companies associated with his investment portfolio. Additional information on CinemaCon as well as an application to apply for press credentials can be found at www.cinemacon.com.